As per provided geological reports and studies made for Heavy Oils, the reserves of natural bitumen are mostly located in Southern part of Colombia which are currently exploited and exported. Colombian Gilsonite range of ash content is from 1.5% to 15% while having high solubility content and very suitable for different applications. Currently over 20 companies are dealing Gilsonite out of Colombia which their main market of focus is USA. Since Gilsonite Supply is technical and complicated task, so far the infrastructure for market development does not exist for Colombian Gilsonite. – To many buyers, Colombia is considered a Black Hole as the information and economics of the country is blurry. Therefore it is very difficult to resource and purchase any product, nevertheless Gilsonite from Colombia. – The domestic transport rates and also the Sea Freight from Colombia to most Gilsonite destinations are high, making the product uneconomical to transport. 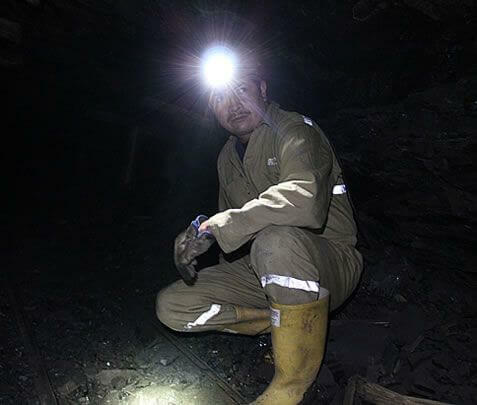 – As per lack of infrastructure, the quality control measures are not standard in Colombian supply and even the miners cannot provide accurate technical specs. This will result in very low target prices to cover the quality risks by buyers which in long term will keep the miners even economically weaker and this results in lack of infrastructure in long term as well. A survey shows almost all Colombian Gilsonite is exported to USA and discharged at the port of Houston. Considering more than half of this import belongs to American Gilsonite Company, it raises the question of authenticity for American Gilsonite supply. Since the AGC does not sell much quantity inside USA market, then the Colombian Gilsonite must be part of their exports which means the American Gilsonite company is simply re-exporting (or worse Blending) the Colombian Gilsonite under their brand instead of the conventional Gilsonite from Utah making a large margin in the price difference between the two supply.